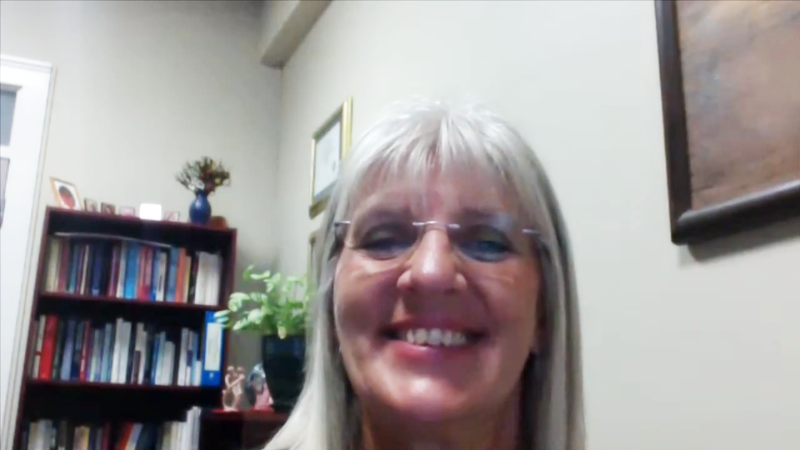 After building a good foundation in this model over 5 months you may chose to continue your training in the developmental model with Dr. Ellyn Bader in her online courses. Completion of the Level 1 course entitles you to enter Dr. Bader’s Level 2 on-line training. Or, you may join my local Level 2 Supervision/Training group and continue to learn theory and present your cases with couples for ongoing supervision. Group format: Each session will be a combination of didactic learning and video presentation. In addition, there will be time allotted for you to ask questions, discuss how you have applied what you are learning and receive consultation on your cases. Location: 635 – 470 Granville St, Vancouver, B.C. Tuition cost: $150.00 per 2.5 hour training (includes GST). Early Bird Bonus: Sign up by January 1st and get a 10% refund when you complete the course. The cost for each of the 2.5 hour group training sessions is only $150.00. Formerly, this course was offered over 9 months. The total cost for the training remains the same as in previous years; now offered in a condensed format with ongoing supervision groups provided for continued learning. Is there a textbook for this course? 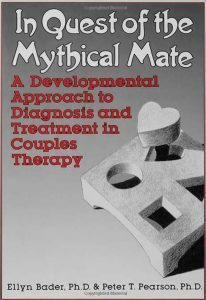 Yes, “In Quest of the Mythical Mate,” by Dr. Ellyn Bader and Dr Peter T. Pearson of the Couples Institute. Click the image to purchase the textbook from their website. I believe that what you learn here will compliment what you are already doing, and will most definitely add to your understanding of couples’ dynamics. While there are specific techniques and approaches, there is also an overarching view of the change process that will increase your expertise. Understanding differentiation theory will change and improve your work with individuals by giving you a window into their distress that is developmentally related. Your interventions will empower the client to move from victim to victor and produce real and tangible change in your individual clients. This is a real bonus of the training! If you have any other questions about the training that you would like answered before you go ahead and sign up, please call 604-682-1484 or click here to apply. 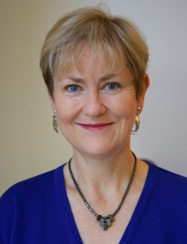 Sue Diamond Potts, M.A., is the Founder and Director of The Good Life Therapy Centre and is an experienced therapist with more than 30 years in the field. 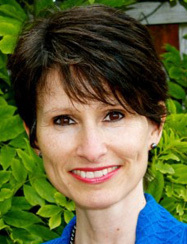 She first trained with Drs Bader and Pearson in 1994-95 and has for the past decade been actively involved in Ellyn’s online training, personal consult group and a member of their Master Mentor group for the past 4 years. 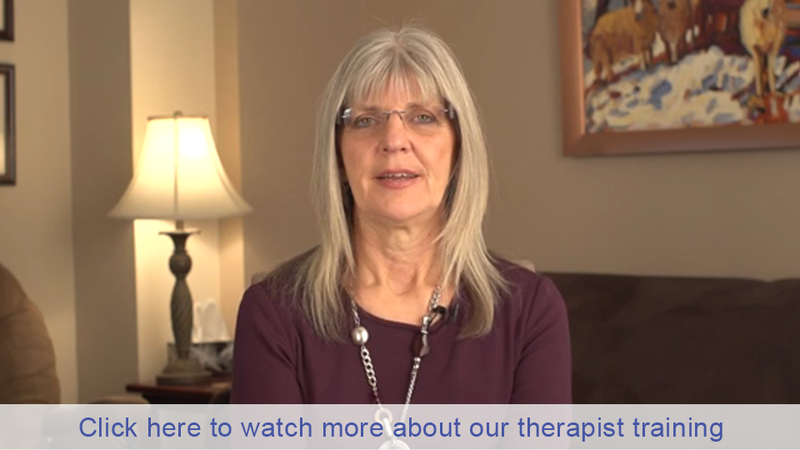 Sue has used the Developmental Model of Couples Therapy to rescue her own marriage. 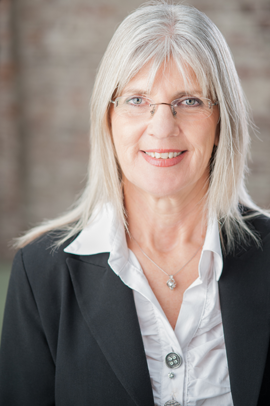 She is passionate about this work and is committed to sharing this model with other therapists in the Vancouver area in order to enhance their skills and confidence in working with couples and to build a referral network of developmental couples therapists. 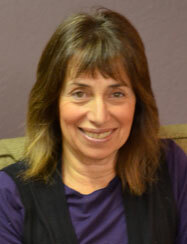 Sue is a committed student of kriyayoga meditation and spends time each year studyng in India. She integrates the wisdom of Eastern philosophy and practice with her western academic training to create a more holistic and healing approach to her work. © The Good Life Therapy Centre, All rights reserved.